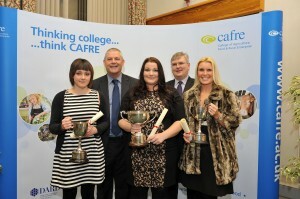 Click on the links to view our newsletters. Has our practice put the bounce back in your dog's step or nursed your cat back to good health? 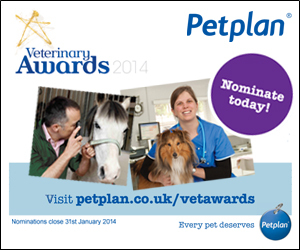 If you think our practice or someone in the team deserves to win a Veterinary Award visit petplan.co.uk/vetawards to nominate today! Spotlight on weight management to help pets’ live longer, healthier lives. Being overweight, or indeed underweight, can lead to serious health risks. It is good to get in to the habit of checking your pet on a regular basis. Around half of all pets seen by vets in the UK are overweight. You might be surprised to find out that your pet may be overweight too. 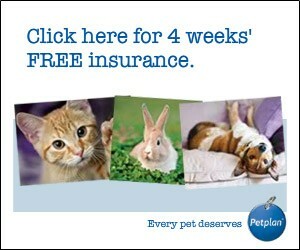 Research has shown that by keeping a pet at ideal body condition, a pet’s lifespan can be extended by up to two years. So what are you waiting for....... Contact the practice for a FREE weight check and keep your friends healthy for life. Dental disease is the most common infectious disease of our pets. Over 80% of cats and dogs over the age of 3 require dental treatment now. The Good News is that the majority of dental problems are TREATABLE and nearly all are PREVENTABLE. Don't turn your nose to Fido's or Fluffy's bad breath! That odour might signify a serious health risk, with the potential to damage not only your pet's teeth and gums but its internal organs as well. That is why we are running our annual FREE dental health check clinics. It's our way of highlighting this common disease and promoting good dental care for pets. Use three pea-sized blobs of dog toothpaste – one each for the left, right and front of the mouth. Human toothpaste is NOT designed to be swallowed and will often cause problems for our pets - remember how much smaller a cat is than a fully grown person! You can purchase a suitable toothpaste the surgey. We would like to welcome Jill Nicholson to the practice. She is a registered veterinary nurse and will be a great asset to the veterinary team and any pets in her care. Rabbit awareness week is fast approaching. If you would like a FREE rabbit health check, advice and information on how to keep your rabbit fit and healthy, then telephone the surgery and book your appointment now. 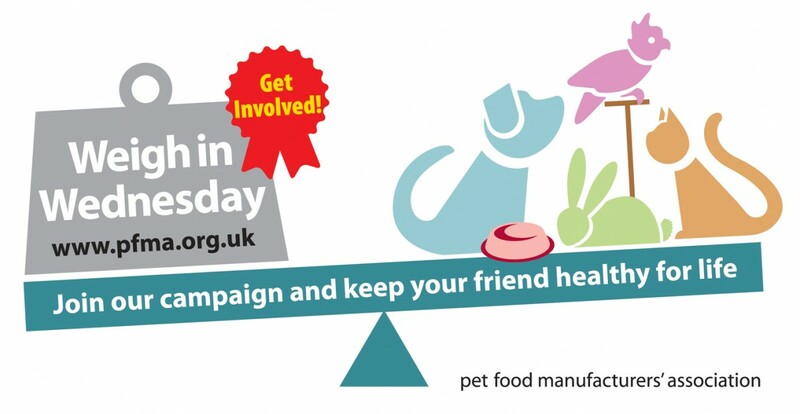 Hills pet food have launched a new diet to help combat the growing problem of pet obesity. If you would like to find out more about this exciting new diet please contact Linda at the surgery. She will be happy to give help and advice over the telephone, and invite you down to the FREE weight management clinics.